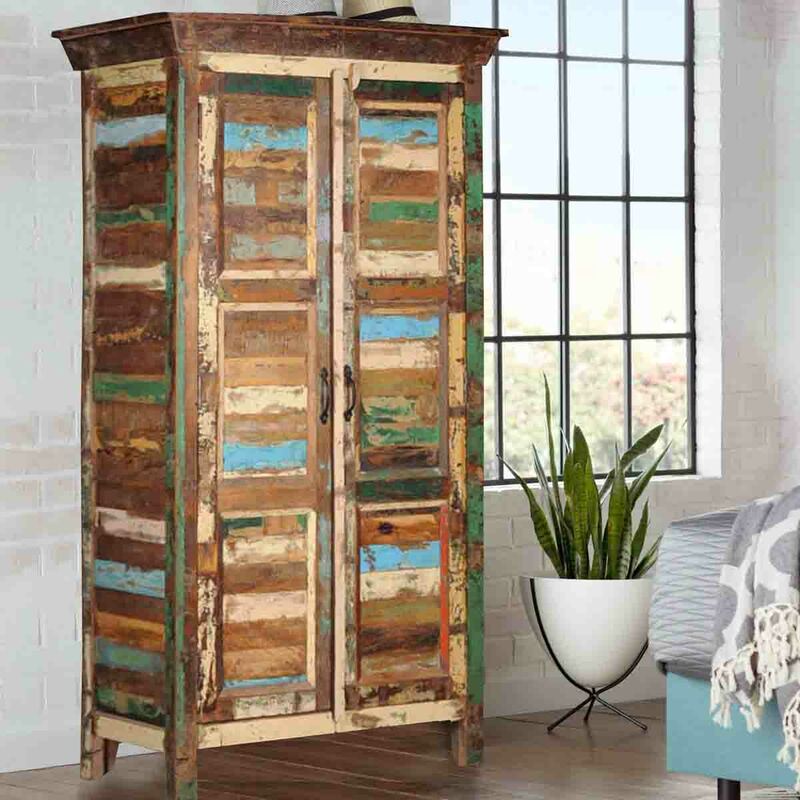 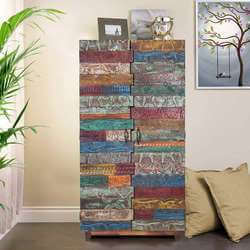 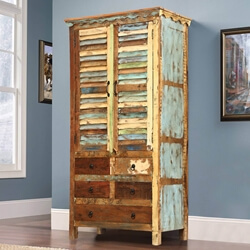 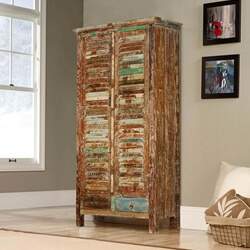 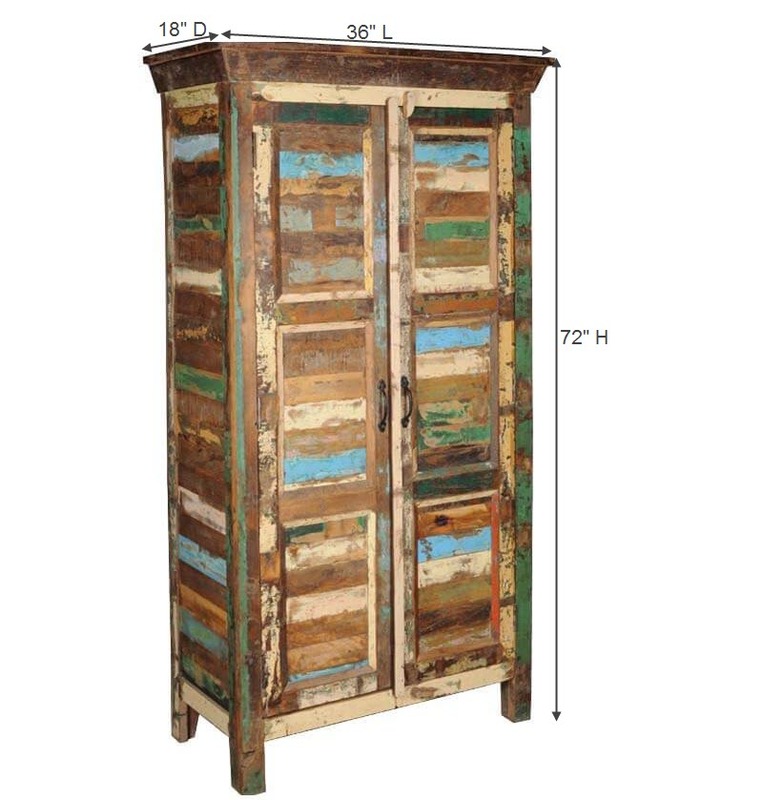 You can expand storage space in any room with our Aviston Distressed Finish Gray Solid Wood Tall Storage Cabinet. 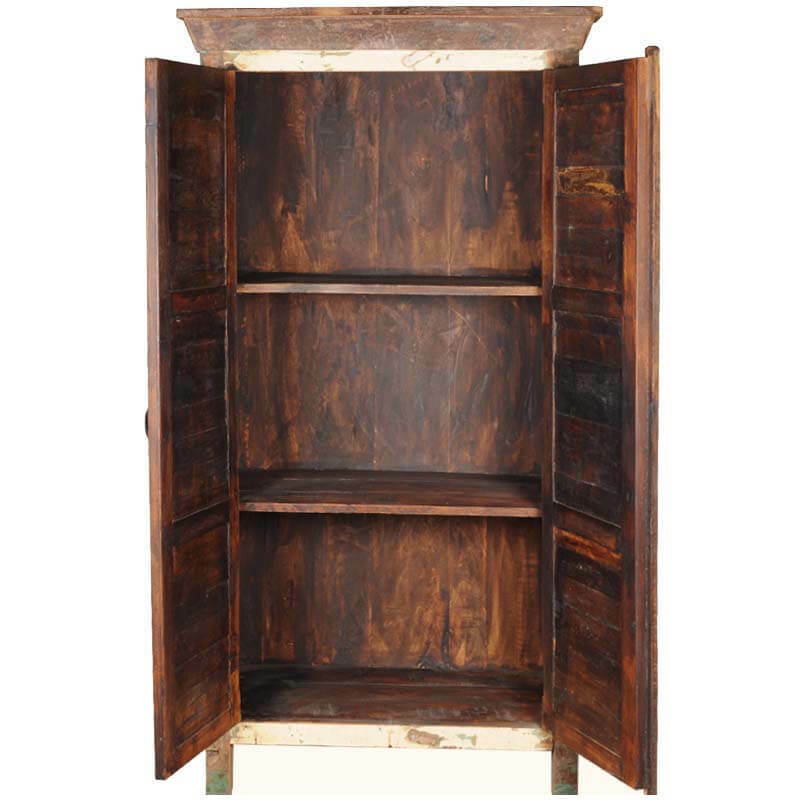 This spacious armoire tall cabinet can become an instant pantry or an extra closet. 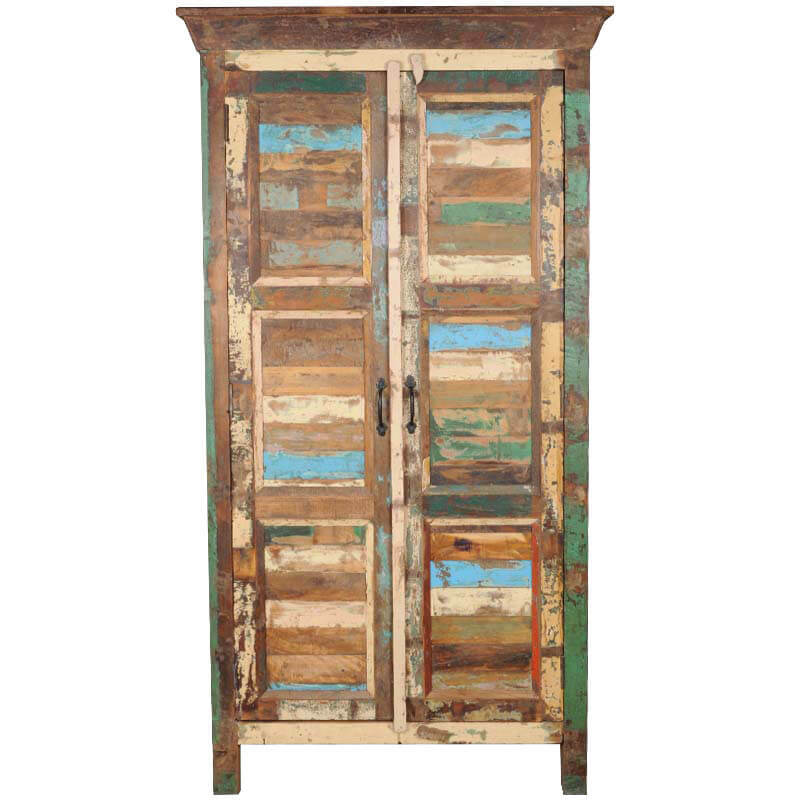 Tall storage cabinets allow you to reinvent kitchens, bedrooms, and studies. 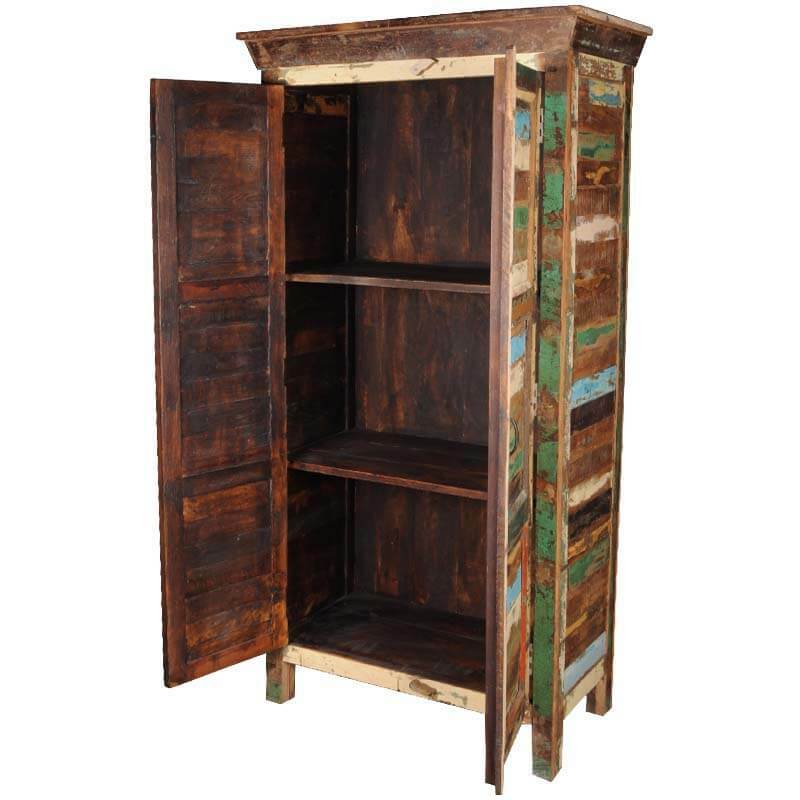 This handmade storage system is built with carefully selected solid reclaimed hardwood. 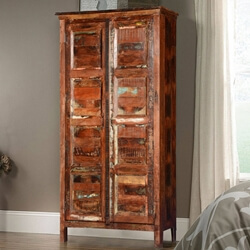 Old wood has a history and quality that can't be replicated with new wood. 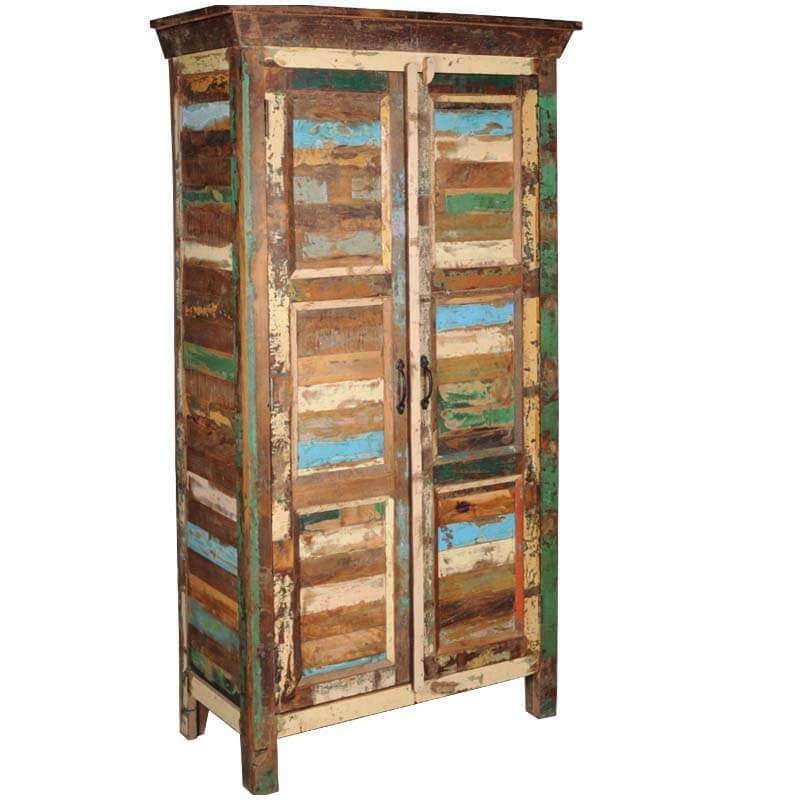 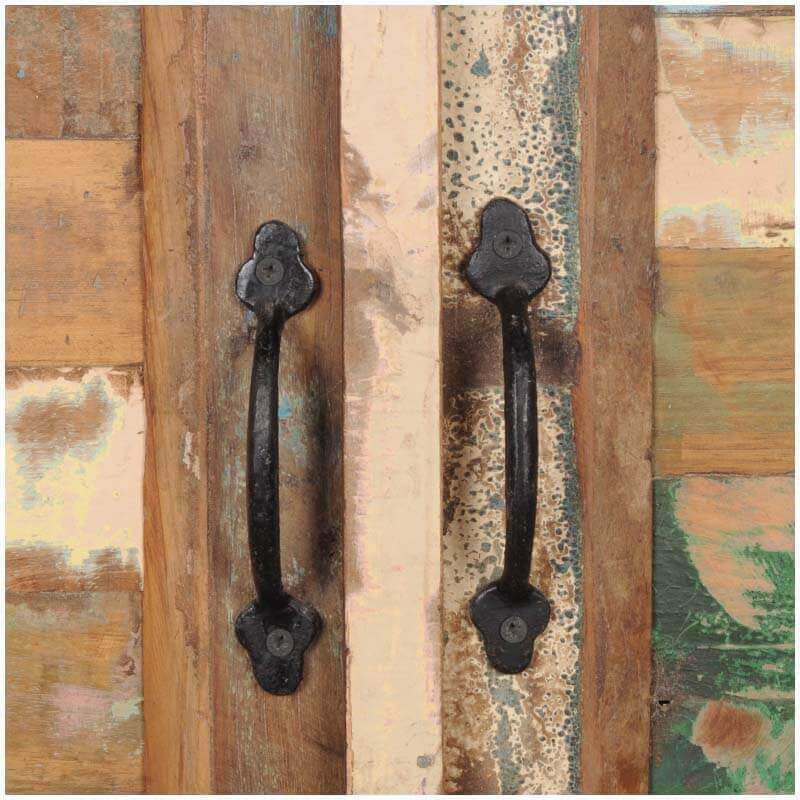 We added a fun patchwork of colors to create rustic charm. 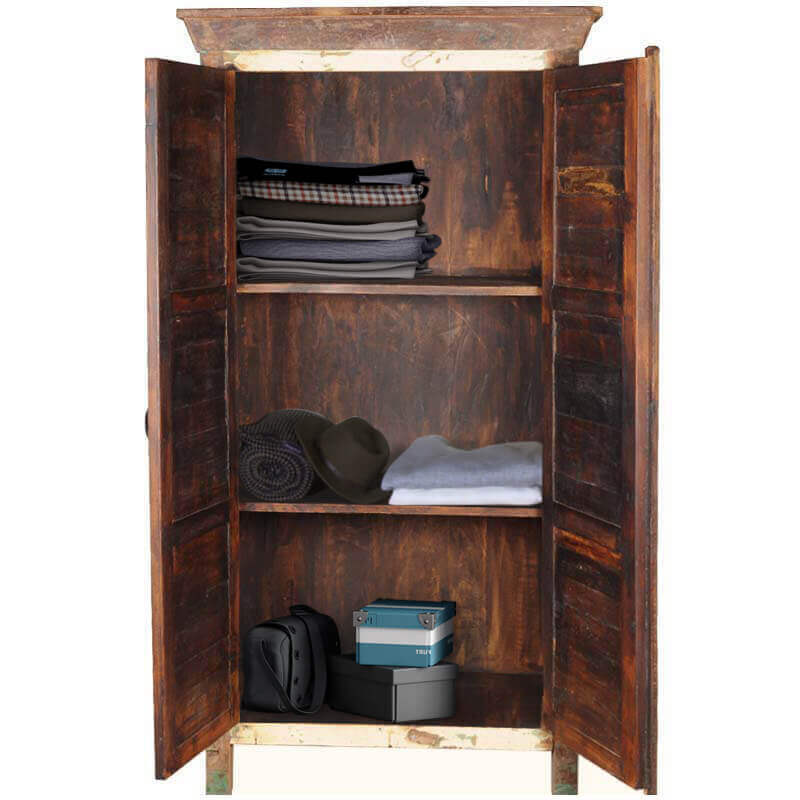 The beautiful accent storage cabinet has black wrought iron handles, three shelves and stands off the floor on short, square legs.